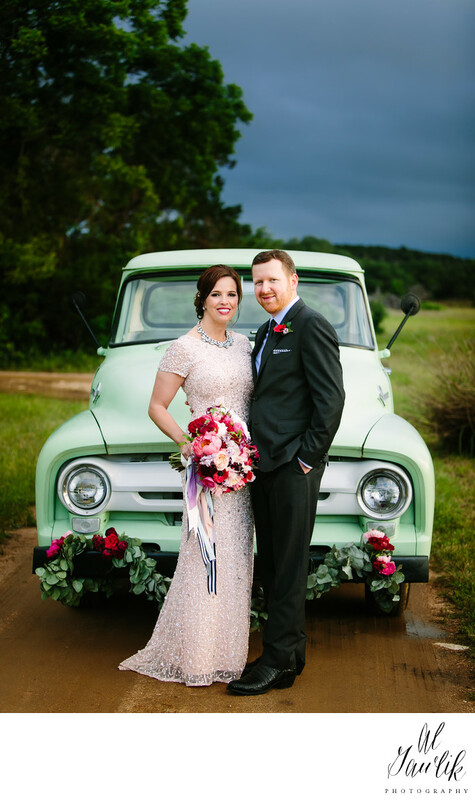 Gentle curves of a classic truck with classic colors frame a lovely portrait of the Bride and Groom on their wedding day. It is a gorgeous photo of a stunning couple at the edge of the Texas hill country, and what could emphasize that better than the colors in this picture. Our story telling photographer uses the color and the light to highlight this image.